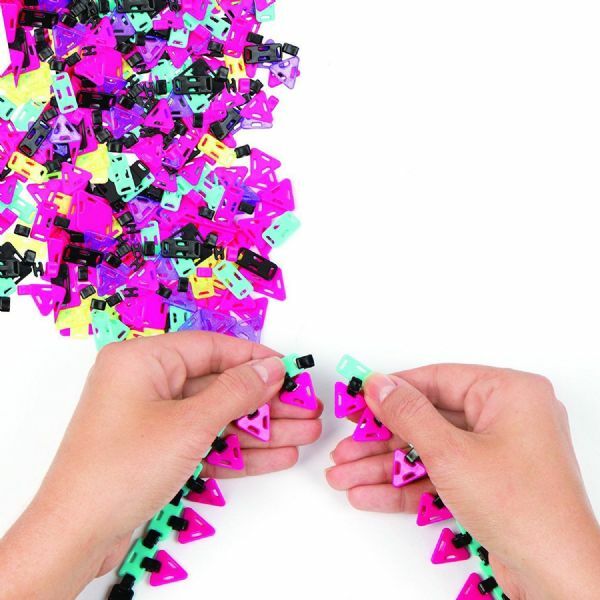 Brightly coloured pieces that "znap" together to make amazing creations! Create fun hair accessories that you will love! Have so much fun with your friends to create your individual look! ZNAPEEZ! by Fashion Angels is the new way to design and create with endless possibilities. With this kit, you will learn how to build accessories for your hair! 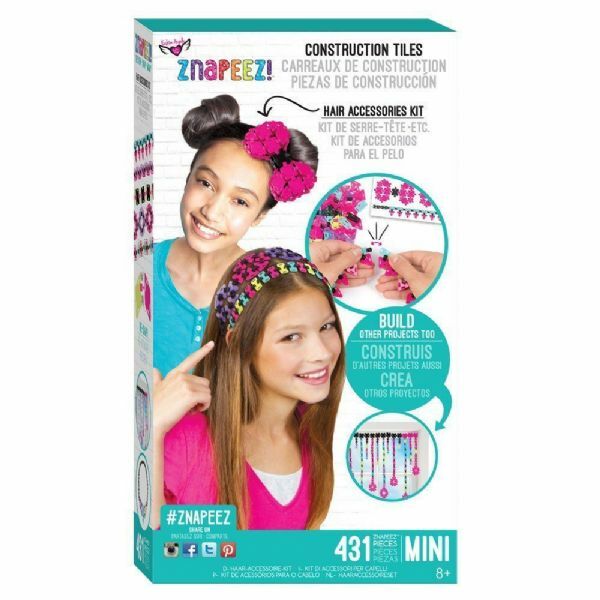 Each kit comes with geometric tile pieces and closures that "znap" together to form 3D items. The instruction guide will help you create hair accessories, and 2 other projects that give inspiration for original creations. When you are ready to make something new, just take apart and reuse! Design - Snap - Wow!